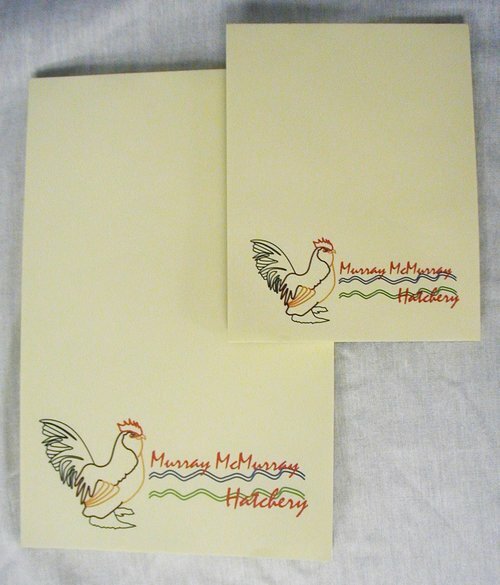 Now you can do your "Chicken Scratching" on these attractive, high quality, ivory note pads with the Murray McMurray logo. The set includes two 50 sheet pads, one each 4 1/4 inch by 5 1/2 inch, and one each 5 1/2 inch by 8 1/2 inch size. Keep a pad near the phone and a pad with your McMurray Hatchery catalog for you poultry "wish list".